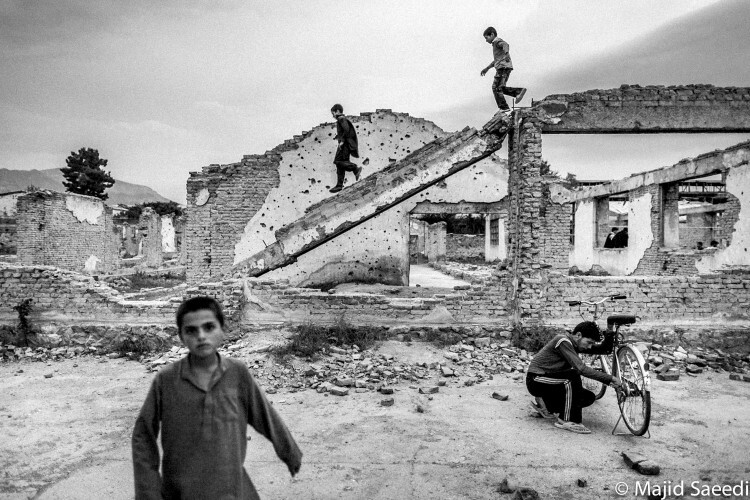 The jury of this third edition has awarded Iranian photojournalist Majid Saeedi, for his great work in Afghanistan : “Life in War”. Afghanistan has been dealing with war for 50 years . Sometimes with countries attacking it and at others with civil wars. 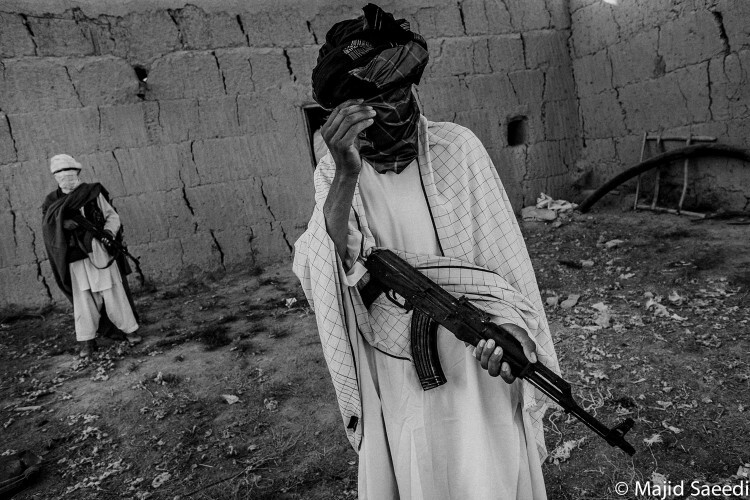 Intentionally or locally, the Afghans are people of war and bloodshed. They are suffering from some serious traumas and hurt which take a lot of years to be healed. War affects the ordinary life of survivors, children lose their parents, women whose husbands die and become responsible to manage their life and children as a single mother. Despite of the poverty, drug addiction, lack of education caused but still life goes on in Afghanistan and people continue to live with hope for a better tomorrow. A morning military exercise in the police academy in Kabul, NATO has been at war with the Taliban since 2001, and is scheduled to hand over security to the Afghan army and leave the country in 2014. 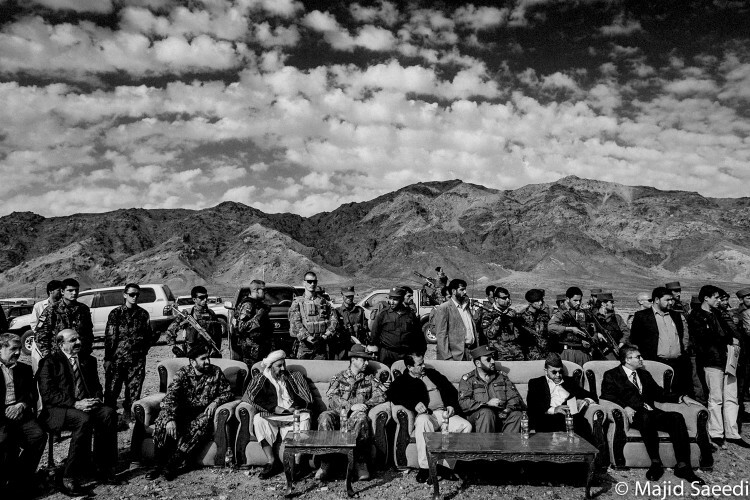 A group of Afghan National Army soldiers in northern Afghanistan during operations against opposition. NATO has been at war with the Taliban since 2001, and is scheduled to hand over security to the Afghan army and leave the country in 2014. A Taliban is being punished by Mojahedin after being captured by them in Herat,Afghanistan 2001. Military, government and security officials attend a burning of confiscated opium in Herat, Afghanistan. The opium was confiscated by security forces during recent anti-drug operations across the country. 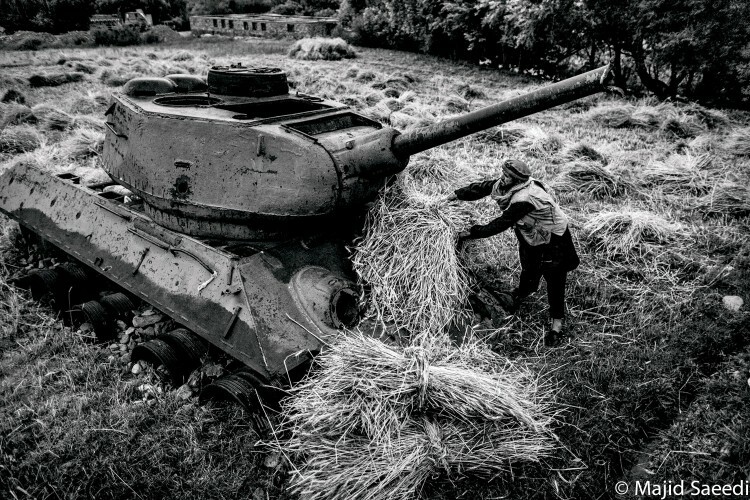 A farmer puts his harvest on a tank left behind in war. The effect of 30 years of war is visible throughout most of the country, and the people have gotten used to living with these ruins. 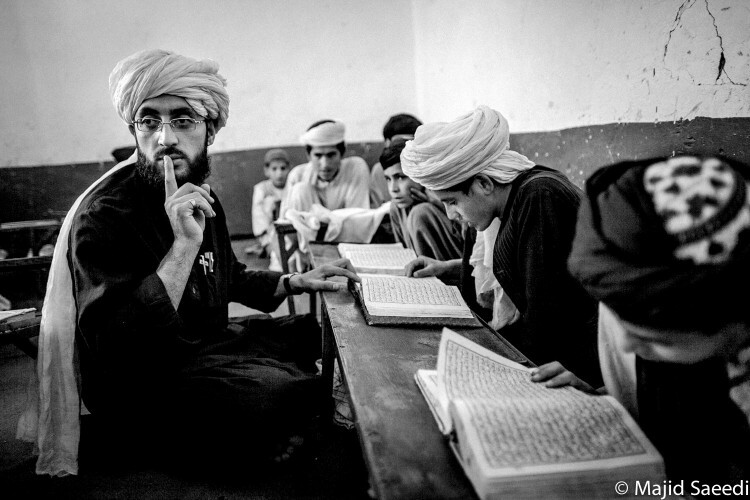 Afghan psychics in a mental hospital in Herat .War is one the major causes of the mental disease in Afghanistan. 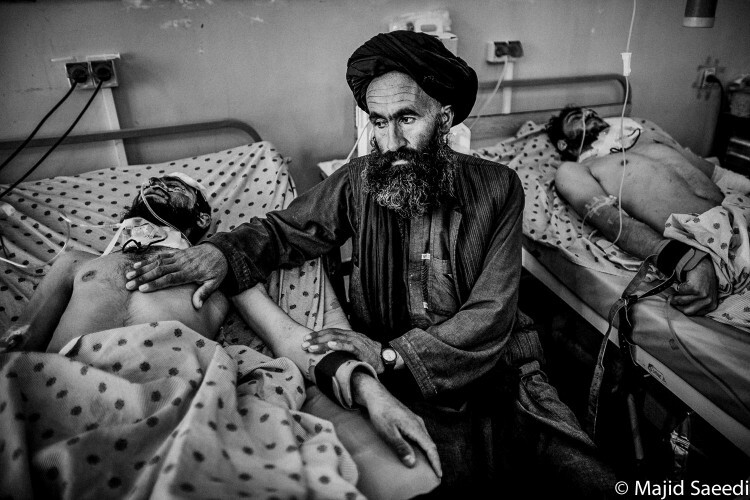 An Afghan man sitting beside his injured son by Taliban attack in Kandahar, treated in Mirvays Hospital . after killing of Bin laden, in Pakistan,it was the most serious attack by his supporters lead to 4 killed and 36 injured. 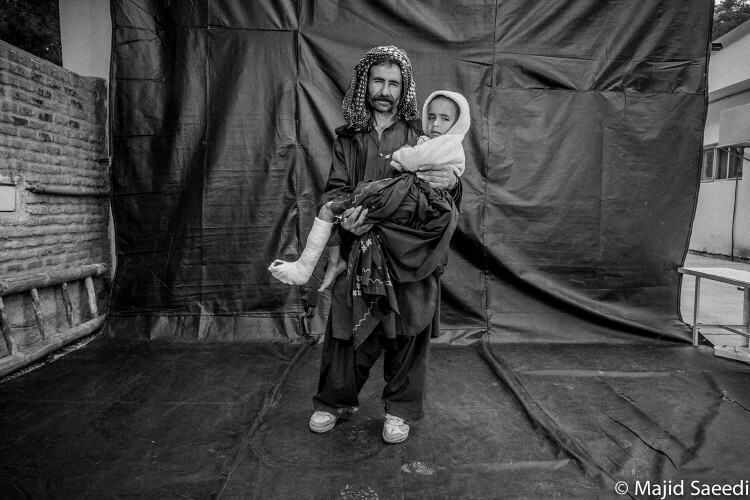 Abdol Hamid who is 5 years old with his father is photographed two weeks after being injured in a blast. 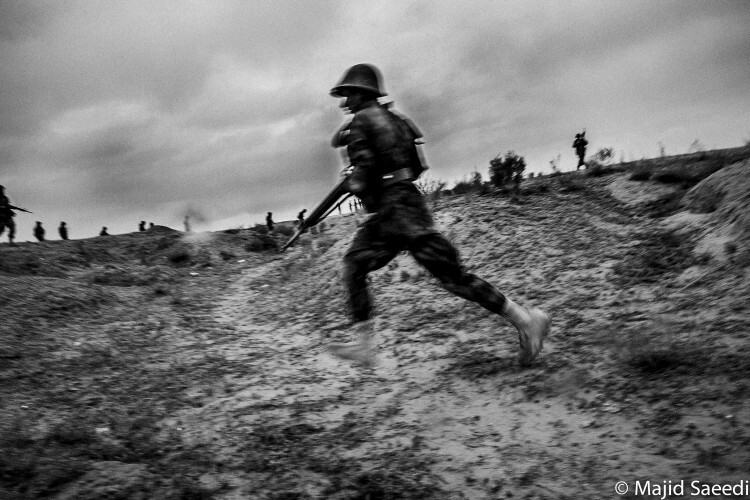 About 40 people are killed every month by land-mines. 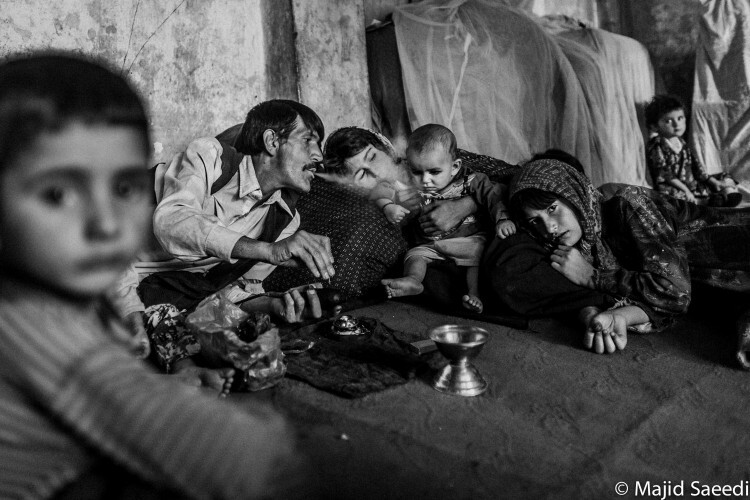 Majid Saeedi is an Iranian documentary photographer. 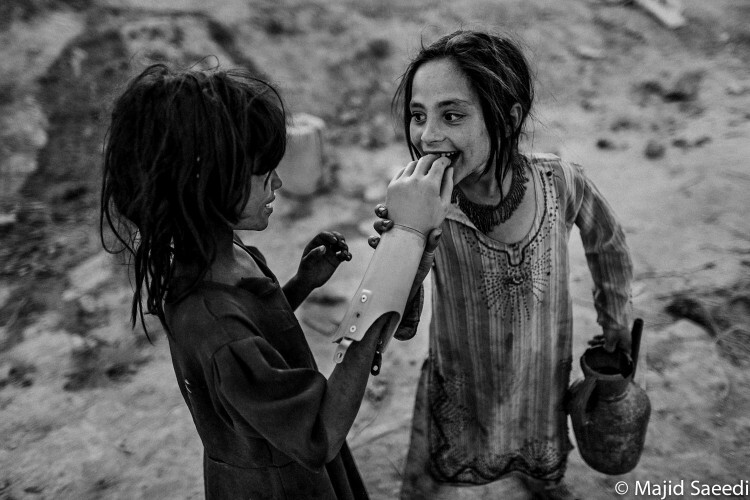 He has photographed Middle East with a focus on the humanitarian aspect for the past two decades. 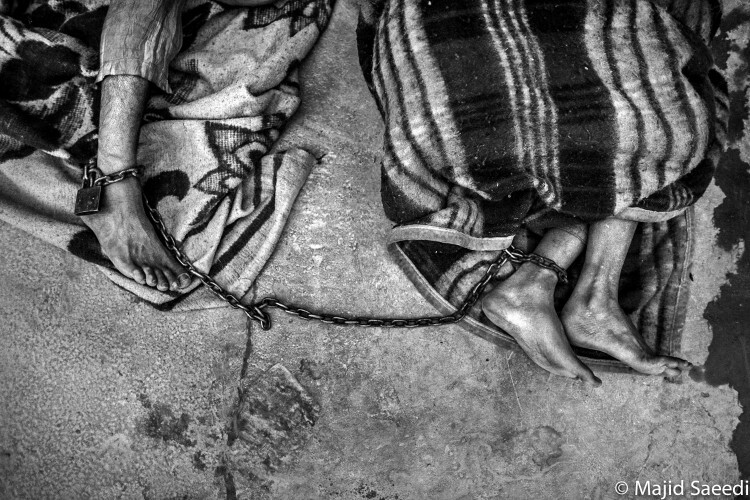 Majid also takes a special interest in telling the untold stories of social issues and social injustice through his photos. Majid was born and raised in Tehran. 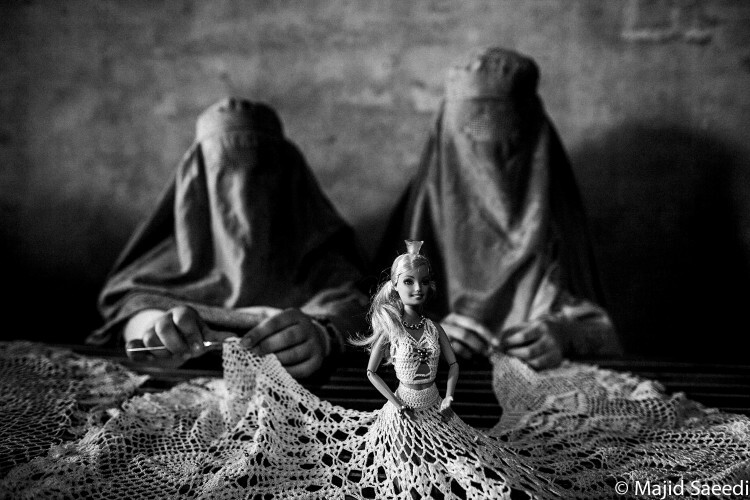 He started photography at the age of sixteen and when he turned eighteen, he went to Iran Iraq border to take photos of the refugees. 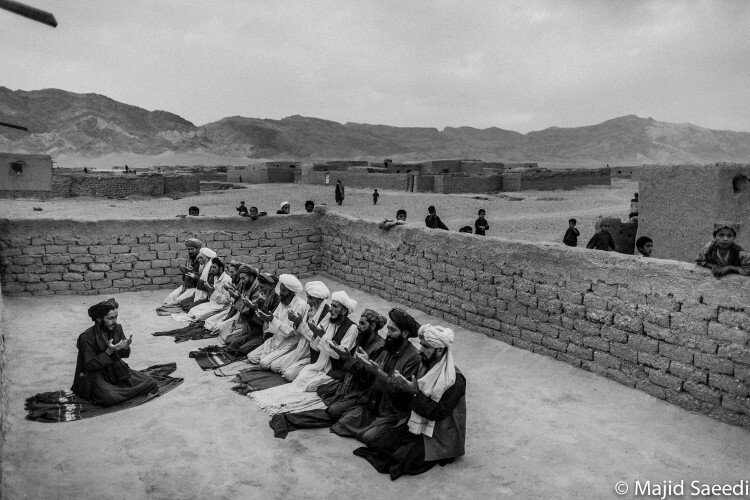 Majid is currently collaborating with Getty Images, covering Afghanistan and Iran photo reportages. 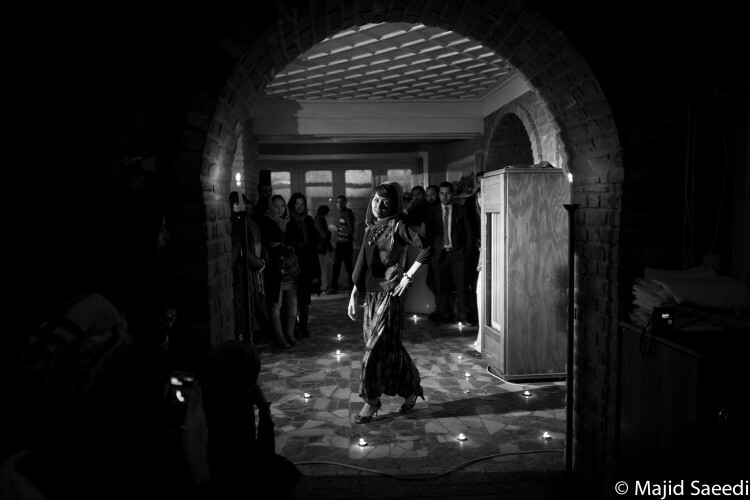 He has managed photography department of various news agencies in Iran and led numerous key projects for over 15 years. 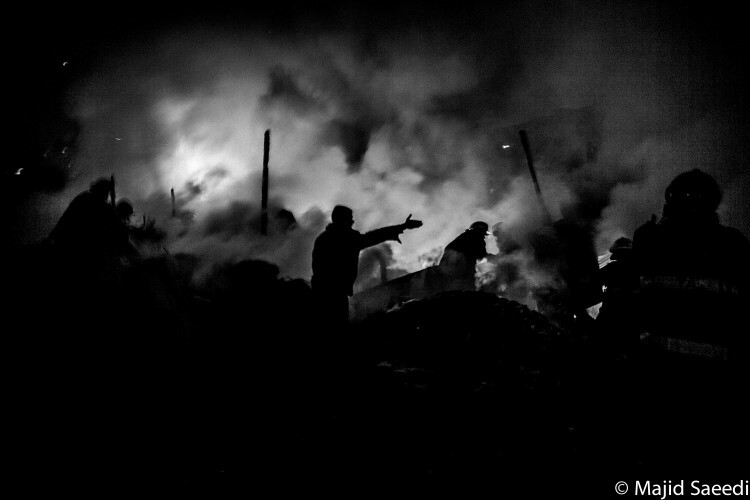 One of Majid’s interests is to do street photography and portray citizens’ ordinary lives. 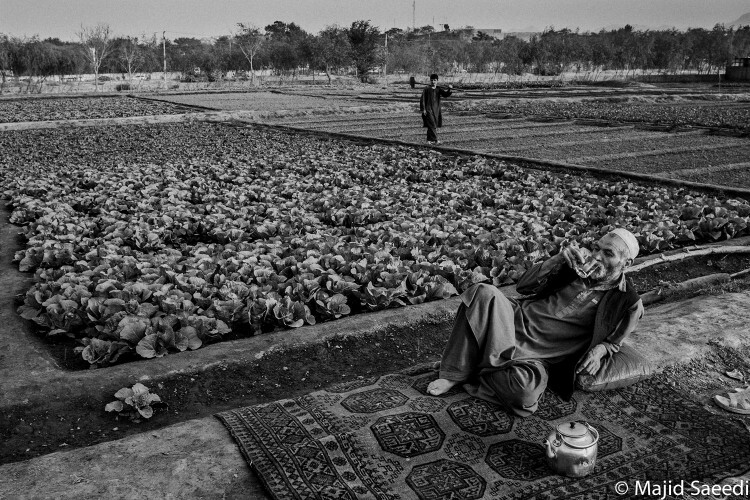 When Majid is not working, he likes to teach photography to students and mentor young photographers. 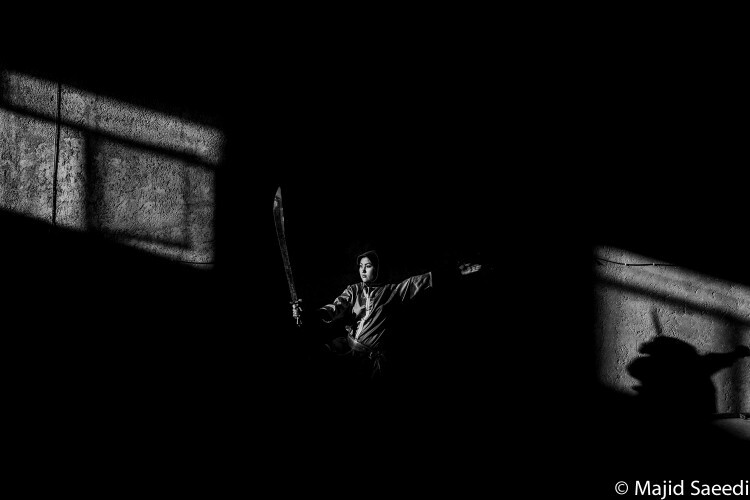 Majid has won numerous prominent and prestigious photography awards from around the world. 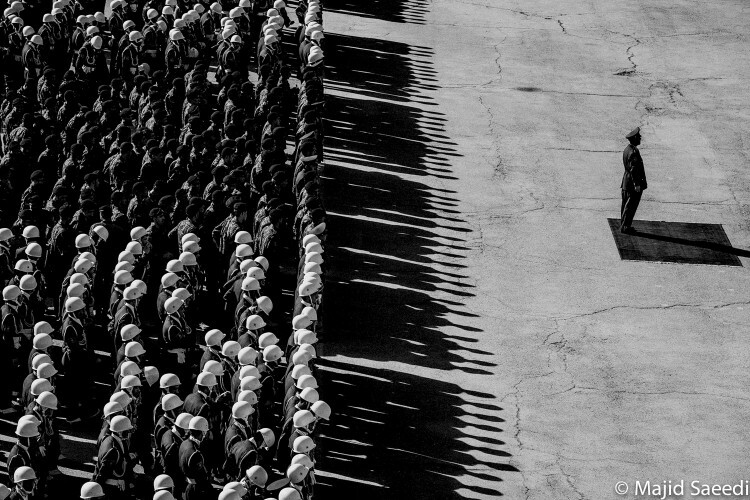 He has received the title of “The Best Photographer of Iran” eight times. His photos has been published in international presses such as Times, Spiegel, Life, New York Times, Washington Post, Washington Times, Time Magazine and various Middle Eastern publications and online agencies. 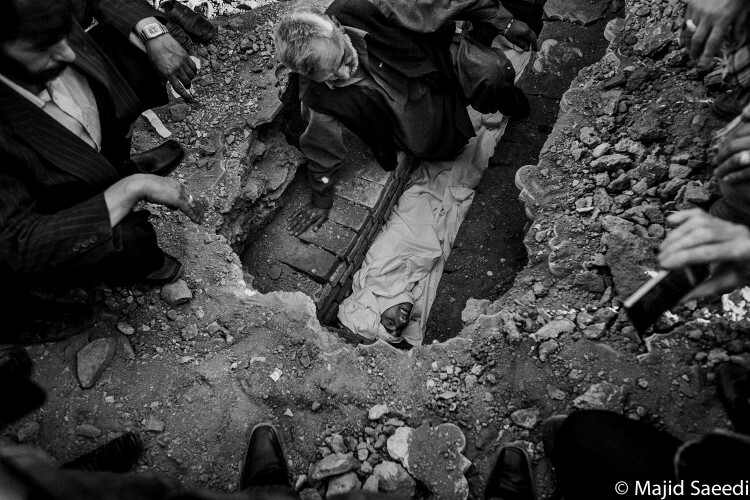 Majid has traveled to many countries in the Middle East and photographed the injustice as well as the atrocities. His recent photo story displayed the images of the Afghan people whose lives have been affected by several decades of war in Afghanistan.